Most of the star systems we’ve discovered have been small systems with planets close to a red dwarf star. 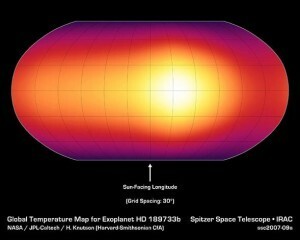 This is largely due to the fact that large planets close to a star are easier to detect than smaller ones farther away. Our own solar system is fairly large by comparison, with the most distant planetary bodies being about 300 AU (or perhaps 700 AU) from our Sun. It raises an interesting question about just how large a planetary system could be. If a recent discovery pans out, the answer could be much larger than we expected. The size of a solar system is largely driven by gravity. Since gravity follows an inverse square relation, the closer you are to a massive body the stronger its gravitational pull will be. With increasing distance the gravity of a star never quite goes away, but it becomes so small that other gravitational tugs can overpower it. As a result, the most distant objects of a solar system would be susceptible to the gravity of stars that pass close by (on a cosmic scale). Over the past 20 million years about 40 stars have made a “close” approach to our solar system, and these can disturb objects in the Oort cloud. It would seem reasonable that beyond a thousand AU or so the odds of having a large planetary body would be rare. On cosmic time scales a stellar close encounter would likely make the orbit such distant planets unstable. But recently astronomers have found a system with a radius of 4,000 to 6,000 AU. 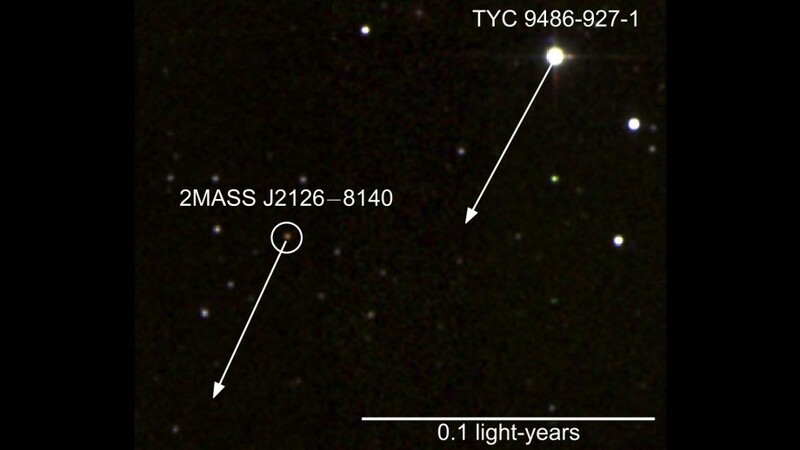 The team found an L-class brown dwarf at that distance from a red dwarf star. Now the fact that two stars happen to be close doesn’t automatically mean they are orbiting each other. It’s possible that they just happen to be making a close flyby at the moment. At several thousand AU, it’s also not possible to determine their motion precisely enough to confirm that they are orbiting. However there are a few clues that point toward being a common system. For one, their proper motion is basically the same. This means they are moving through the galaxy in the same direction, which would be unusual for a random close encounter. Another is that they are both young bodies, and seem to be the same age, which again would be unlikely for a random encounter. It’s possible that the two bodies formed within the same stellar nursery and simply happened to be expelled in the same general direction, but again that would be unusual. The alternative is that they really are a binary system. Since the brown dwarf is likely in the range of planetary mass, this would then be the largest known solar system. So it’s possible that solar systems can be very large indeed. Of course this raises questions about how such systems could form, and whether they would be stable over millions or billions of years, but that’s a mystery for another day. Honestly, I wasn’t talking about you or this post.